BOOK DIRECT AND SAVE AT PELICAN BEACH! With so many new booking sites popping up, how do you know which is the best booking site to use? Which site offers the best deals? Should you book your vacation rental home on VRBO®, Airbnb, TripAdvisor, Booking.com, Expedia or use a travel agency? Today, travelers have the ability to shop and make reservations by various means such as third party booking websites or direct with the accommodation providers themselves. Unfortunately, you can't always believe the best price labels many third party websites use - they are often just not true. Plus, many of the online travel sites and alternative property management companies charge extra fees for online bookings, fees for "Free" golf/attraction packages, or fail to disclose cleaning fees, etc. until after your reservation is confirmed. Your vacation experience is important to us. You can feel confident knowing ... when you make a reservation with Pelican Beach Management, you will receive the LOWEST TOTAL PRICE for your stay with our Best Rate Guearantee! 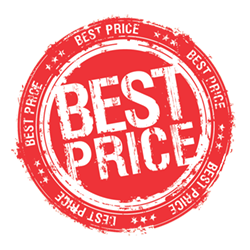 So, if you are tired of visiting multiple web sites trying to find the lowest total value for a stay at the Resorts of Pelican Beach, then make your reservation through Pelican Beach Management, Inc., and we guarantee that you will not find a better total price for the same unit for the same dates at the Resorts of Pelican Beach. If you do, please let us know and we'll do everything we can to meet or beat it! Plus, we offer the best source for a hassle-free vacation experience at the Resorts of Pelican Beach. - call it vacation "peace-of-mind"! When booking direct through Pelican Beach Management, guests have the ability to select a specific condominium versus being assigned one from the rental pool. You'll have vacation peace of mind knowing what you can expect prior to your arrival! In addition, when you book direct with Pelican Beach Management, you have access to a greater selection of condominium units. You'll have to check a lot of listings to find what you might like on owner lisiting sites. Plus, not all of our condominium units are made available through the online travel sites. Looking for a three-bedroom condominium? We have it! Looking for a two-bedroom gulf-front condominium? We have those, too! We're the best one-stop rental experience! 3. Customer friendly cancellation/deposit policies! Most people who use third-party online travel sites do not realize when you book via these websites that many times extra charges like credit card fees, booking fees and bookig fees apply if you decide to change the booking at a later stage. Pelican Beach Management offers guest-friendly rental policies, plus we do not require full pre-payment at the time of your reservation! When Booking Direct with Pelican Beach Management via this website or by telephone, the extra fees charged many times by the online travel sites as well as charges for departure cleaning do not exist. Compare the final total cost - booking service fees, fees not collected until departure, etc. - when making your rental choice! 5. Advantage of local knowledge in the reservation process and unit selection. Our reservation agents are located on the property and not in a call center in some distant location. Need more information or have a special request ... just ask! We're here to assure the best vacation experience possible - 24 hours a day! 6. Greater confidence you will be satisfied with your condominium upon arrival! We have the ability to accommodate you with alternatives if something is not in order with your selected condominium rental. We have 24/7 maintenance service on site and if something cannot be immediately resolved in a timely manner, we have our inventory of available units for alternative arrangements. Don't believe us? Compare our price here with anywhere else. Many online travel sites charge extra fees for online bookings, fees for "Free" golf/attraction packages, or fail to disclose cleaning fees, etc. until after your reservation is confirmed. We don't. You can feel confident knowing that when you make a reservation with Pelican Beach Management, you will receive the LOWEST TOTAL PRICE for your stay! If you find a lower price for a Resorts of Pelican Beach condominium unit on an OTA or other property management company website for the same dates and unit type ... please let us know and we'll do everything we can to meet or beat it! Who could ask for anything more than going to one site and truly getting the best deal? 8. Why Book Directly Through Us Versus VRBO® or Airbnb? We can appreciate the desire to book directly with an individual rental owner. We appreciate the desire to try to save a few extra dollars - and sometimes there might be a lower price. Keep in mind, if something is not as expected or if you have issues with furnishings and maintenance, you have to deal with the owner - wherever they may be. Plus, booking direct through us protects you from fraudulent listings. For example, a legitimate owner or manager will never demand that you wire funds as the only means of payment. If the condo you're considering is dramatically discounted, it's probably too good to be true. 9. Why Book Directly Through Us Versus an off-site Rental Management Company? The same can hold true for making a Resorts of Pelican Beach reservation with another "local" rental management company. Pelican Beach Management is the exclusive on-site rental management company located at the Resorts of Pelican Beach. Keep in mind when making a reservation with another rental management company - if something is not as expected or if you have issues with furnishings, lock-outs and maintenance, you have to deal with that company - wherever they may be. Our front desk staff cannot assist with condominiums which are not on our rental program. We'd love to help, but we "legally" can't. 10. Extra seasonal savings at the resort such as a complimentary resort gift card and our Pelican Advantage program! 11. Extra savings opportunities for a return visit including savings of an additional 10% above prevailing offers!